In the mid 1960's, Jerry discovered the natural healing power of witch hazel for reducing inflammation. He used witch hazel lotion with professional athletes and horses for soothing tired muscles, inflammation & injuries. Jerry and his wife Donna realized this little known gift should be shared and have devoted themselves to broadcasting the healing benefits of witch hazel to the world. 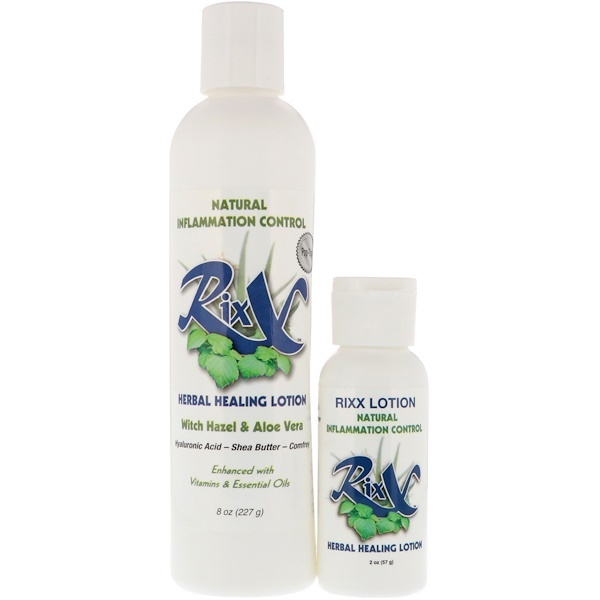 Today, Rixx Lotion offers a natural alternative to toxic sports lotions. It also has powerful health and beauty benefits. Thanks to Rixx Lotion, the secret of witch hazel is out! Infused with antioxidants, omega 3 oils and vitamins. 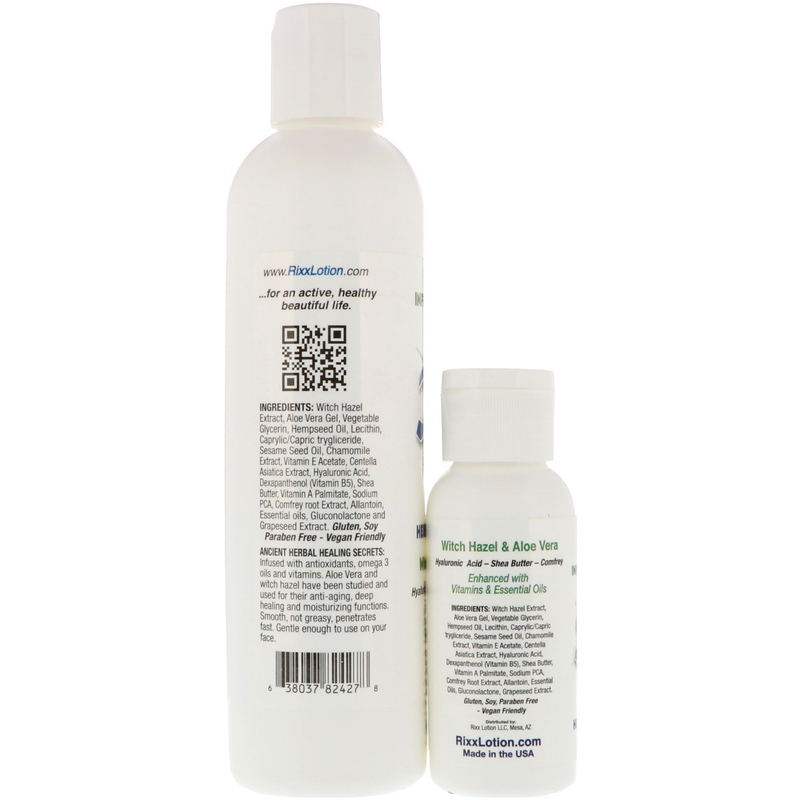 Aloe Vera and witch hazel have been studied and used for their anti-aging, deep healing and moisturizing functions. Smooth, not greasy, penetrates fast. Gentle enough to use on your face. For Therapeutic Use: Apply liberally to any part of your body. Offers relief for inflamed sore or bruised muscles, joints, sunburn, itching, leg cramps, neuropathy, muscle strain & relief for dry skin. Witch Hazel, Aloe Vera, Hyaluronic Acid, Shea Butter & Comfrey for a youthful complexion. Witch hazel extract, aloe vera gel, vegetable glycerin, hempseed oil, lecithin, caprylic/capric triglyceride, sesame seed oil, chamomile extract, vitamin E acetate, centella asiatica extract, hyaluronic acid, dexapanthenol (vitamin B5), shea butter, vitamin A palmitate, sodium PCA, comfrey root extract, allantoin, essential oils, gluconolactone and grapeseed extract.